Above: Installation view, “Tabaimo: Clue to Utsushi,” James Cohan, New York, 2018. Photo: Phoebe d’Heurle. 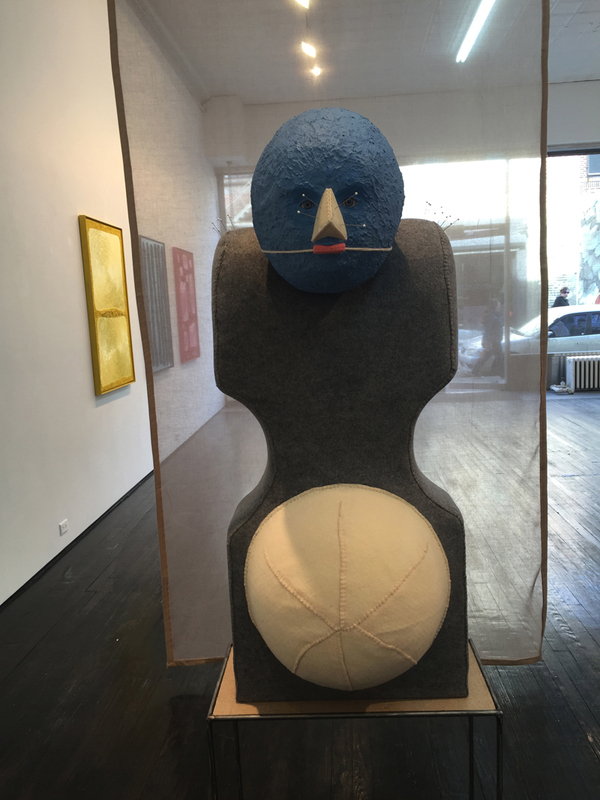 James Cohan Gallery on the Lower East Side is known for transforming its space for interesting installations that create an environment. You may remember Omer Fast: August, a recent controversial exhibit where the street-facing portion of the gallery was transformed to simulate a rundown Chinatown storefront, revealing video art in the back. James Cohan’s current museum-quality installation, Clue to Utsushi, comprises surreal animations by Japanese artist Tabaimo. Each animation is projected onto a wall (or custom structure) in its own shape and size relating to an ancient artifact from the Seattle Art Museum. 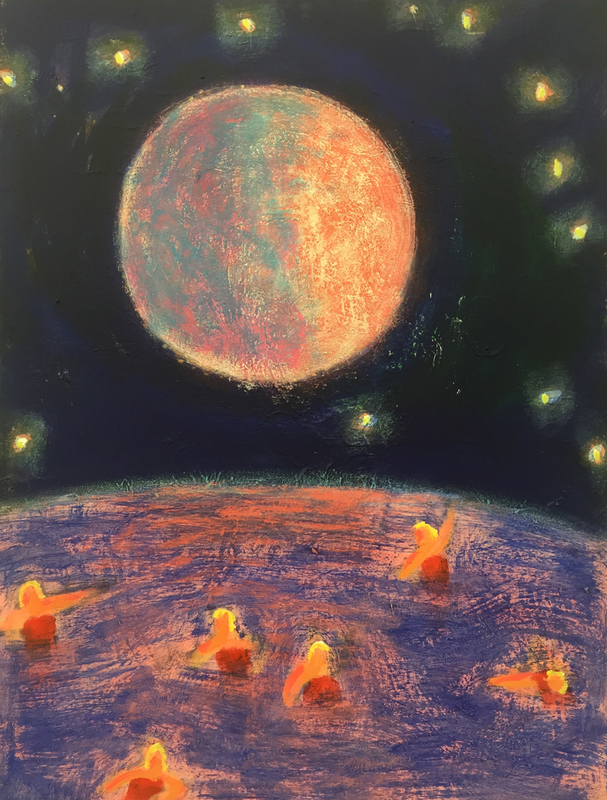 The gallery space is transformed into an unfamiliar, austere world that invites viewers to lurk around its dark corners and discover that there is more to unfold in each animation than first meets the eye. Installation view, “Tabaimo: Clue to Utsushi,” James Cohan, New York, 2018. Photo: Phoebe d’Heurle. Each of Tabaimo’s video projections allures with symbols of beauty, like a woman’s silhouette, a butterfly, a bird, or a set of armoires, yet leaves hints to the viewer that cohabiting with this beauty might be something sinister, and that watching and following the beautiful thing can lead you to a darker unknown place. Tabaimo creates an “Alice in Wonderland”-like universe where we are unfamiliar with where our curiosities will take us as we are drawn into the bizarre visual settings she imagined. Still from “Shinju Trail” by Tabaimo at James Cohan, New York, 2018. Image © Tabaimo. Photo: Artifactoid. Clue to Utsushi is directly connected with Tabaimo’s 2016 exhibit at the Seattle Art Museum (SAM), Utsusushi Utsushi. At SAM, Tabaimo discovered that ancient artifacts around the Seattle Art Museum were calling to her with different energies, leading her to create works of video art that brought the antiques to life and opened them up to reveal new narratives. Four of the resulting videos are now on display in Clue to Utsushi, plus Shinju Trail, pictured above, which was created specifically for this show. Round-corner wood-hinged Cabinets (GUI), 16th Century, Chinese, that inspired the work “Two” by Tabaimo. Image © Seattle Art Museum. Clip from “Two” by Tabaimo at James Cohan Gallery. Video © Tabaimo. Footage: Artifactoid. Carrying the ancient to the present, Tabaimo, an artist known for critiquing Japanese culture, speaks to the concept of Utsushi, or, emulating artwork by masters of the past. Instead of physically copying the art of the masters, Utsushi refers to keeping the same “energy” of the master’s artwork while simultaneously bringing it into a new contemporary form. Though we don’t necessarily have this exact word in English, I believe that a lot of the best contemporary artwork from around the world demonstrates Utsushi by being original while maintaining a strong dialogue with the past and ultimately connecting it with the present and future. Image of an artifact that inspired the below animation, “Crow” by Tabaimo. © Seattle Art Museum. Clip from “Crow” by Tabaimo at James Cohan Gallery. Video © Tabaimo. Footage: Artifactoid. James Cohan Gallery is located at 191 Grand Street in Manhattan. Today is the final day to view this exhibition. Catch the current show at P! curated by Prem Krishnamurthy and Cay Sophie Rabinowitz, on view through February 21st, 2016. 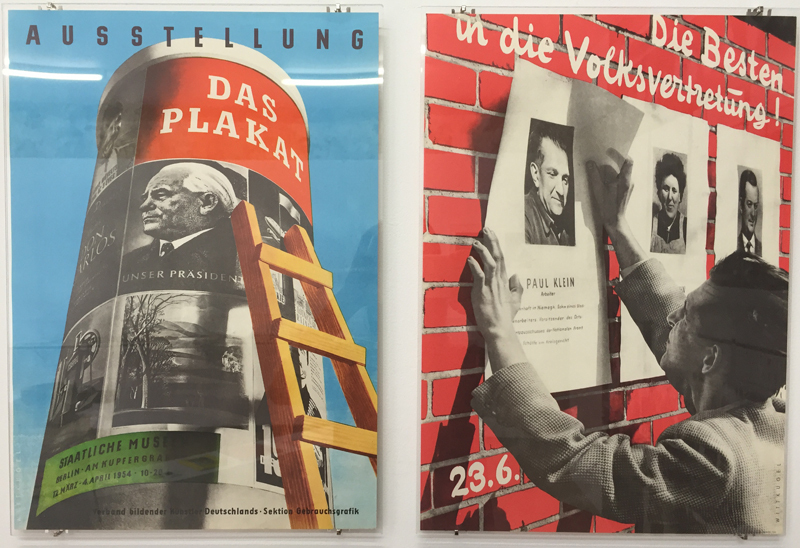 This show explores the forms and ideologies of Modernist graphic design as it presents the work of Klaus Wittkugel (East Germany) and Anton Stankowski (West Germany), contrasting the production of image and meaning within competing social and economic systems. Don’t miss this magical series of acrylic paintings by Katherine Bradford at the acclaimed CANADA gallery. Fear of Waves features dreamlike imagery of water and swimmers, created with painting techniques whose results take the artist months and sometimes years to achieve. Bradford’s work has been featured at P.S.1 and The Brooklyn Museum among other institutions and in 2011 she was awarded a Guggenheim Fellowship. Her work is in the collections of the MET, The Brooklyn Museum and the Portland Museum of Art. See this show through February 14th, 2016. The Skin I Live In is London-based artist Jonathan Baldock’s first New York solo show. For this series of unique sculptures and wall pieces, Baldock employs an unusual mix of media to explore and engage with the physical and conceptual conditions of the human body. The work is on view until February 7th, 2016.